Canada’s strict privacy laws are recognized as compliant with privacy laws in the E.U. Companies which host in the U.S., may be breaking the law if private information is not adequately protected or is made subject to American laws like the Patriot Act by hosting this information in the U.S.
iTechworks has done a great job in building, hosting and maintaining our website. Stephen offers personal service, great advice and guidance to all our I.T. questions. His reliable, efficient and friendly service, and very reasonable rates keep us coming back! 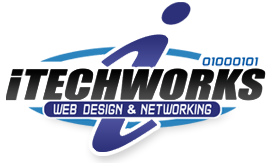 I would highly recommend iTechworks Web Design and Networking!